As the skipper of a vessel you have a responsibility to be able to care for your crew. 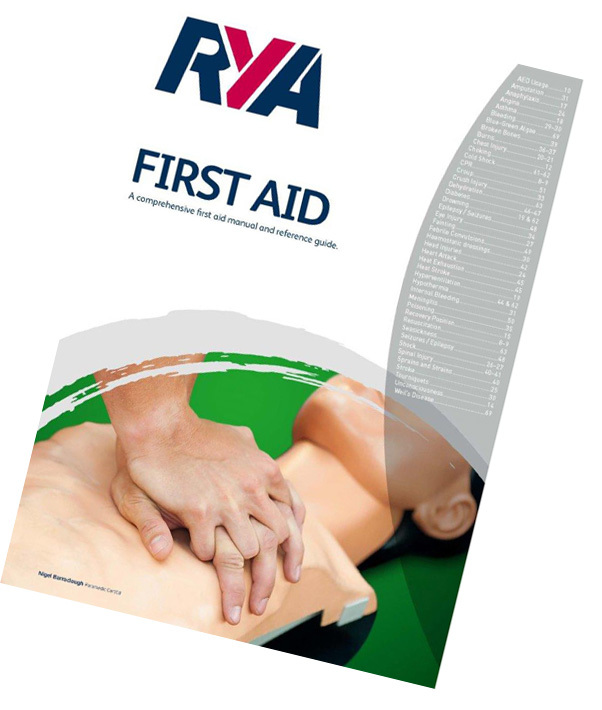 The one day RYA First Aid course is run by experienced RYA instructors with a good appreciation of medical care afloat and develops the confidence and ability to perform basic first aid when afloat – an essential course for everyone. There will generally be 6 – 8 people on the first aid course however for private courses in suitable locations we may run with more. Contact us to discuss. There is no minimum age limit but realistically 12 is probably a sensible minimum age given the physical aspects of undertaking CPR. None! The course is obviously aimed at those that go afloat but equally suits anyone interested in a one day first aid course. The course costs £110 per person. Each price quoted in the ‘Key Course Details’ section above is the price per head for 1 person, for 2 persons the per head cost reduces by 2.5% and for three people by 5%. The price shown is inclusive of VAT. 1 day from 9am to 5pm. This course is designed to provide a working knowledge of first aid for all those who go afloat, on inland waters or up to 60 miles offshore. The syllabus is based on the recommendations of the Health and Safety Executive and the Maritime and Coastguard Agency. The certificate fulfils the requirements of the MCA Code of Practice for the skippers of small commercial vessels up to category 2 and for all RYA practical instructors. The First Aid course covers a wide range of areas but does so to an appropriate level. Perform CPR to current protocols, and understand the differential for drowning. Apply direct pressure to a wound to control bleeding. Choose suitable first aid equipment for their boat. Understand how to get medical advice or assistance by radio. Understand how to prepare for the evacuation of a casualty by helicopter. Skippers of MCA Coded Vessels only: Be aware of the content and use of Category C Medical Stores, including the pocket mask. Aim: The course is designed to provide a working knowledge of first aid for all those who go afloat, on inland waters or up to 60 miles offshore. The syllabus is based on the recommendations of the HSE and the MCA. – Immediate actions and the priorities within first aid. – Angina and heart attack. – Levels of response and the AVPU scale. – Head injury: concussion and compression. – Medivac…..the evacuation of a casualty by helicopter. – The contents and use of the category C first aid kit, including the pocket mask. Hopefully any dates that we have scheduled work well with your availability. If the dates don't quite work then we are always keen to be as flexible as possible to help accommodate your availability - just contact us and we’ll see what we can do. 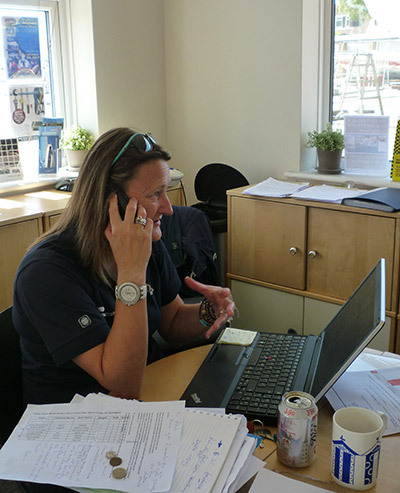 We're always really keen to chat to you when you’re booking a course as whilst we are happy to take bookings through this system for your convenience - nothing beats chatting about boats and courses! Don't forget too that if you are an individual or company/organisation booking a few people onto courses then we may be able to schedule dates around you. Equally, for bookings some time in the future we can usually juggle our course dates if what we have scheduled doesn’t quite work for you. When you make a booking on this system please remember that is subject to confirmation and you will receive confirmation from us at the latest the next business day. You will not be charged until we send the confirmation.